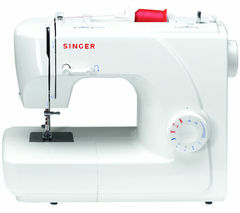 Sewing machines allow you to fix your old items of clothing or to make new clothes. They’re used by everyone from stay-at-home mums and hobbyists to professional seamstresses, and they're loved for their convenience. It’s not only clothes you can make with a sewing machine, you can also produce toys for babies and cuddly teddies that the children in your life will treasure and enjoy for years to come. You can also create soft furnishings such as cushions and curtains as well as unique table cloths or covers for your chairs and sofas. 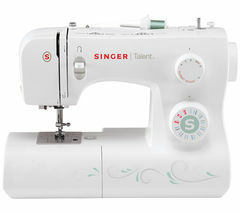 Having a sewing machine at home can save you time and money when it comes to fixing up clothes that have been damaged. 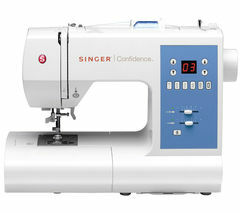 If you want a machine that you’ll love, whatever your ability, take a look at our Singer sewing machines. We have all the latest models that come with a variety of accessories to help you, whatever you want to do. 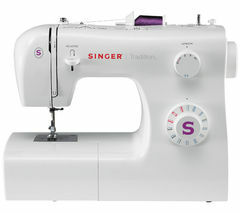 Whether you’re looking to make presents for loved ones or you simply want to have a convenient way to fix and make clothes and accessories such as tote bags, a sewing machine is ideal.